For many individuals and families in the highly developed Western world, ‘community’ is a foreign concept. There may be friends to share a meal or an outing, a glass of wine or an anniversary celebration, but what about support in daily life, or sharing the most mundane of tasks or moments like folding laundry or drinking a cup of afternoon tea and watching the kids play? For the past 50-100 years the “nuclear family experiment” has left each family essentially minding their own business and fending for themselves – at a painful cost. This “basic social unit” sets the tone for an entire culture of high consumerism (because everyone needs one or more of everything) and tremendous stress, isolation, exhaustion and loneliness. One way to shift this tide is to make a collective effort to stretch into one another’s worlds and allow others to step into ours. In times of need and also in times of regular old daily life moments. When people share many experiences together it sets up the trust and understanding to allow more intimate support at challenging times, when having support can make the difference between moving through something with ease or struggling. Over days, weeks, months and years, time together can set a strong foundation for an extended chosen family to be there for one another through all kinds of times filled with both challenge and joy. To build community requires time and effort, and sometimes even inconvenience. People need to spend time together. People need to know exactly what to do in order to be supportive and in order to really feel the support. With a general impermeability to our “best face forward” this can be challenging. Who can be or will be the first one to admit the need for any kind of support? Most of us in our right minds would say “not me”. So how do we even begin to build community? In perfect timing to shift our cultural direction toward community. When a family welcomes a baby, or any new child if fostering or adopting, a family goes through an unprecedented period of adjustment. 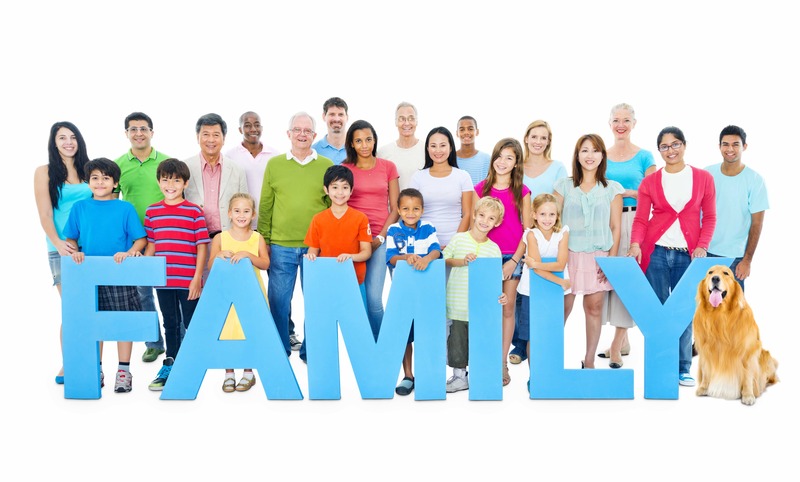 This time is a perfect time for a community to come together and begin the process of connecting and deepening, centered around the beautiful cause of keeping a new family well and stable. In this scenario the family has a good enough reason they may be more prepared to ask for support. They may need help identifying what could be helpful – from other parents in their family, from their doctors or midwives, from friends with kids, etc. The difference of having support vs. not can be better rested and better resourced new parents, a sustainable connection between the couple, an extended community connected to the child (and invested in the wellbeing of the child), a more functional home space, more fun and joy for everyone. The contributing community members get to know they are making an exponential difference – to friends or family and also to a future generation. The benefits are multifold and ripple farther out than just the people directly involved in each act of service. Below are some steps a new family can take to garner support all around themselves during the tumultuous transition into parenthood. These are also steps community members can keep in mind and guide a new family toward in order to provide exquisite support during this challenging time. Let’s connect more deeply and move toward a thriving future together. STEP ONE: Identify and list what you need. Making the list is a great process on its own. When you begin to get present to the types of things that could make a difference, you begin to see how much you (or your partner) or your family/friends are doing. Or you may begin to see what kind of lifestyle you have. It’s an extraordinary exercise of reflection. You may also encounter resistant conversations, many pervasive in our culture, like “I can’t ask for someone to do that” or “I should be able to do that” or “my partner should” or “we should be able to handle this”. But what if? What if you could have support with simple things in order to allow more ease, more rest, more connection? Could you imagine for a moment or envision someone happy to do these things for you, grateful for an opportunity to love you in this way? Try it on. STEP TWO: List everyone you know. This can be an interesting and even challenging exercise for some. The most effective way to do this is to walk through your day/your week/your month and just notice who you regularly encounter. Who is in and around your life on a daily, weekly or monthly basis? Write those names down. This is a time to just write down names, and not edit the list at the outset, restricting the opportunity for those people to contribute. You’d be amazed how happy some people would be to contribute if only they were asked! The list should include a name and at least one way to communicate. If there is an existing connection (like a teacher, a friend, a running buddy, etc. ), you can include the details but don’t assume their contribution would match up to how you already know them. The goal is to establish contact and support with at least 3 (max 6) people per week so the family is surrounded and truly supported but not overwhelmed. For a newborn family, support beyond the first six weeks is ideal. A bout of postpartum depression can set in as the hormones change at six weeks, so 6-12 weeks after birth is a critical time for a family to be held. It is also common for a family to have some support from friends and family for the first two to four weeks, frequently falling off dramatically after this. If you don’t feel able to make calls or, for a new family, if you’re way too overwhelmed, it can be a good idea to choose someone close to you to make the calls, texts and emails to request support. It can be helpful to determine a length of time or a pattern/rhythm for each request for support. Examples could be an hour of washing dishes a day for a week, bringing one meal a week for 6 weeks, taking the baby out for a walk between 5-6 M/W/F for four weeks, calling mom for a 15 minute conversation each day or even text-checking in daily. The timing and the tasks need to be specified by the family. If there is flexibility for the family it can be refined by the community member willing to offer the service. Some people will say yes. Some will say no. Either answer is welcome. STEP FOUR: Coordinate the support. This job is essential and should ideally be held by someone other than the family receiving the support. It is an opportunity for someone to offer the coordination as a service, especially someone outgoing, close to the family, and good with details. It is most effective for someone to set up the service schedule and confirm everyone once a week or so. Again, the details can be determined by the people directly involved. But some kind of formal coordination produces better results than just hoping people remember and show up when the family is counting on support. Coordination and confirmations build the trust in the community and if they break down can compromise trust in the community just the same. STEP FIVE: Allow the support. Possibly the hardest of all the steps is to allow people to enter into our homes and lives to gift support. What meaning do we make of it? We’re weak? We’re inept? Incapable of caring for ourselves? It’s time to tell a new narrative of what it means to be in one another’s lives. What about “I get to make a difference today” – which can be true for both the one asking and the one gifting. Or “together we’re taking care of this new being in our community.” There are many ways to spin the story full of strength, contribution and joy rather than weakness, inconvenience and obligation. Let’s be creative and generous. STEP SIX: Gather in celebration to share the impact. When a family stabilizes and begins to feel more resourced, it’s a healthy (and exciting) step to gather those involved in the success to celebrate and share the impact. Seen in a 360 degree view, each participant will have a perspective to celebrate. 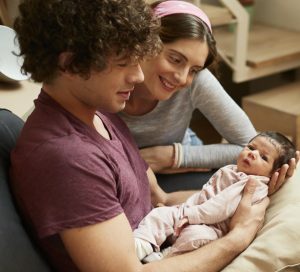 Even a baby may be more open with smiles and eye contact when they’ve been connecting to members of the community over weeks or months than they would be if they were encountering them for the first time. Sharing the impact can make it more meaningful to provide the service, and can also make it far easier to ask again. STEP SEVEN: Ask again. Ask often. The idea that it takes a village is not just true for raising children. It takes a village to run a village. Instead of trying to run our own little villages (our nuclear family worlds/our private homes and private lives) all on our own, what would happen if we began to share in the work required to run our families, to raise our families, to care for our families and to thrive as families in connection with each other? Once you begin working together as a community to meet one family’s needs it’s a perfect opportunity to keep going. Consider asking each other for new opportunities to see and be seen, to help and be helped. As one individual or family becomes more resourced, it is a natural outcome to want to reciprocate. From this fullness and gratitude a circle of reciprocal generosity begins to occur. Without expectation, but rather based in generosity, personal gifting and asking in the safety of a trusted community can continue to grow. One important note: gifts of service are most effective when given with joy and ease, not out of obligation. As important as it is to begin to care more regularly and more deeply for one another, it is also important to be able to say no when no is what’s true. This represents another way to be authentically connected and mutually care for each other. For any souls brave enough to enter this process without the impetus of a newborn, the same steps can be a great guide for anyone building community for any reason or no reason at all – because we can. Take the first step today. Consider what support might make a difference in your own life. And what might happen if you were to let more people lean into your world to support you? What could you provide to the world if you were more resourced?